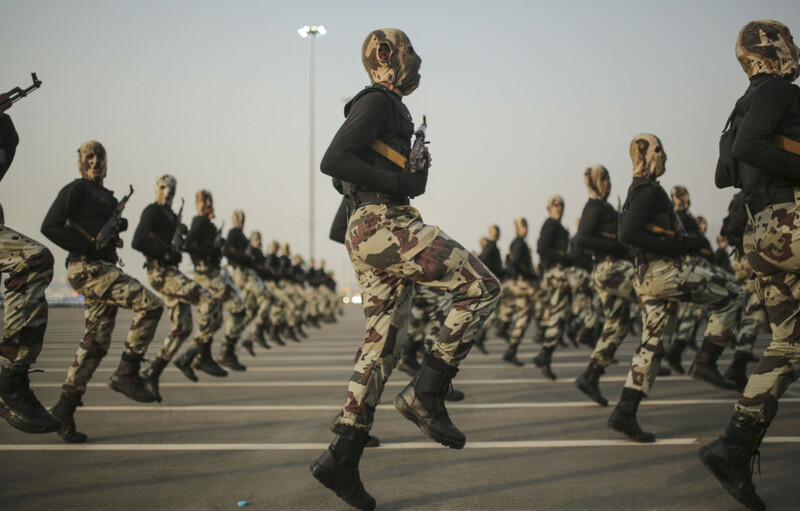 Abu Dhabi: Armed forces from around 20 countries were gathering in northern Saudi Arabia on Sunday for “the most important” military manoeuvre ever staged in the region, the official news agency SPA reported. The ‘Northern Thunder’ exercise involving ground, air, and naval forces sends a “clear message” that Riyadh and its allies “stand united in confronting all challenges and preserving peace and stability in the region”, SPA said. Saudi Arabia is currently leading a military campaign against Iran-backed Al Houthi militants in Yemen. Last December, it also formed a new 35-member coalition to fight “terrorism” in Muslim countries. Sunday’s announcement also comes as the kingdom, a member of the US-led coalition targeting Daesh, said it has deployed warplanes to a Turkish air base in order to “intensify” its operations against Daesh in Syria. SPA did not specify when the military exercise will begin or how long it will last. However, the agency called it the “most important and largest in the region’s history” in terms of the number of nations taking part and the weaponry being used. Twenty countries will be taking part in the drills, SPA said. Among them are Saudi Arabia’s five partners in the Gulf Cooperation Council besides Chad, Egypt, Jordan, Malaysia, Morocco, Pakistan, Senegal and Tunisia, it added. A Saudi source said on Thursday that members of the new “anti-terrorism” coalition will gather in Saudi Arabia next month for its first publicly announced meeting. Riyadh has said the alliance would share intelligence, combat violent ideology and deploy troops if necessary.